In our modern world, filled with toxins and chemicals, the importance of using homemade natural skin care treatment can simply no longer be ignored. The industrial skin care products, and even many of the so-called “natural” products are full of chemicals and questionable ingredients. But who needs them, when the blogosphere if full of easy, frugal and versatile natural skin care recipes that you can easily make at home? Here is a list of 13 of the BEST homemade (100% natural) and amazing natural beauty recipes, collected from truly some of the most wonderful blogs on the internet. They also make the best gifts for the health enthusiast! This 100% natural body spray will not only make you smell amazing, but will help you lift your mood, relax your body and energize your brain (depending on the essential oils you’ll choose). I’ve made the “comforting” blend and it’s amazing! I’ve tried this recipe a few weeks ago, and I have no intention of ever buying lip balm again, it’s that good. This natural, plant-based, herbal solution for tinted lip balm has just a bit of beautiful burgundy tint. I use it every day for work and the compliments just keep coming every time. A long bath in an herbal bath is one of my favorite ways to relieve stress and relax my aching muscles. This wonderful recipe also includes Epsom salts, which make it a great detox bath as well. I’m officially addicted to this, and my week is not complete without it. “This Mint Chocolate Body Butter is formulated with cacao powder, which diminishes the oily finish associated with many body butters and also serves as a light bronzer. Industrial, and even the “healthy” mineral based sun screens have some pretty questionable ingredients in them (endocrine disruptors and nano particles which were linked to accelerated skin aging, cancer and environmental toxicity. Heather from Mommypatomus has the natural solution you can make at home, and I want to thank her for sharing her extensive research on the whole subject. This is absolutely the best natural hair gel recipe for curly or wavy hair – Without chemicals and synthetic fragrances. Guaranteed. This great recipe makes all expensive hand creams completely irrelevant. This food-based homemade scrub is the best one I have ever tried (and I’ve tried plenty). No more cracked winter hands for me! I especially love the organic coffee scrub, which leaves my skin smooth, flawless and smelling amazing. Here are its ingredients: Coffee beans, coconut oil, dead sea mineral salt, tea tree oil, brown sugar, Jojoba oil, Grape Seed oil, Vitamin E oil, Shea Butter and Honeycomb – all organic. This super easy clay mud mask is my favorite way to pamper my skin, leaving it hydrated and rejuvenated like nothing else. I never imagined you can make glitter gel by yourself. I made this one for my daughter, because I don’t want the awful stuff that the industrial ones have to get in her body through her skin. 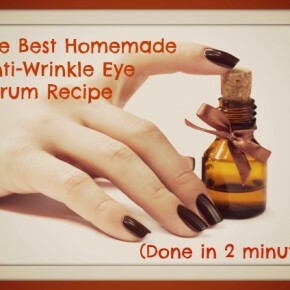 Have you ever thought that you can make homemade mascara? Even the expensive organic mascaras have some ingredients that seem questionable. What if you can make your own completely natural mascara? Thanks to Robin from Thank Your Body – now you can. You can also check out how I make all my makeup products at home (while saving lots of money). This awesome homemade deodorant recipe is easy to make and is way better than any natural brand I’ve ever tried. You’ll never want to buy another “natural” deodorant after you try this one. Buying a high quality organic facial cleanser is surefire way to drain your back account. Luckily, DIY Natural shares a simple-to-make recipe for a homemade natural cleanser, that’s even more effective than any facial cleanser I’ve ever tried, which is why you should hop over to DIY Natural and make one for yourself – Right now. I want to thank the smart and hard-working bloggers who did the research and the hard work for all of us, and shared these amazing natural skin care recipes. You rock! Thanks for the great post. I love your lip balms and your homemade natural facial cleanser. Definitely worth a try! Time for the world to go natural and avoid all the toxic chemicals out there. This post is a little treasure trove! Thanks for sharing it on Natural Living Monday. What a nice reference post. Bookmarked for future scrumptious reading, I just love this stuff. 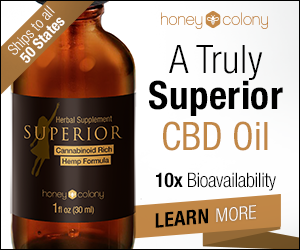 Absolutely agree: Why in the world would anyone use industrial ingredients when far better quality and performance can be found in totally organic, readily available methods?